On December 28 2016, President Obama designated Gold Butte, Nevada, and Bears Ears, Utah, as National Monuments, with a combined total acreage of over 1.6 million! In his last days as President, he has also expanded the California Coastal National Monument. The move means these areas will be protected from unregulated activities by visitors, as well as protecting the wildlife species, cultural histories and archaeological riches. 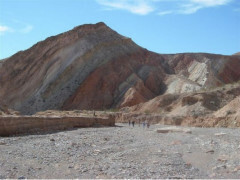 Gold Butte is “Nevada’s piece of the Grand Canyon”. 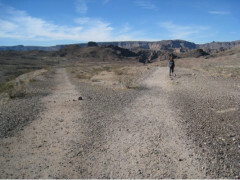 Covering nearly 300,000 acres of desert landscape, it’s a popular area for outdoors enthusiasts. Visitors can hike to rock art sites and explore rare fossils and recently discovered tracks. Gold Butte is north of the Colorado River, where the Great Basin, Mojave, Sonoran and Colorado Plateau eco-regions all meet. The new Bears Ears National Monument is located in San Juan County in south eastern Utah, protecting 1.35 million acres of land. This vast land is home to an estimated 100,000 archaeological sites. Obama has added six new sites to the California Coastal National Monument, including small islands off Orange County and three sites in Humboldt County. The sites - a total of 6,230 acres - are currently managed by the U.S. Bureau of Land Management and will now be protected from new development. We’ve put together a selection of our top routes in and around these areas for you to explore. Remember you can also use ViewRanger to plot your own routes to explore the new national monuments! Take a lush 8.2-mile ramble past thousand-year-old Ancestral Pueblo ruins and find great camping underneath massive alcoves. 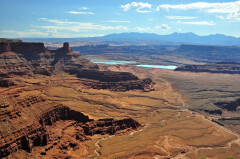 This is an extremely long trail and a fantastic way to really see the area just east of Canyonlands National Park. Chances are high that you’ll have the trail to yourself! 360 degree views of the mighty Colorado River sound breathtaking? How about a soak in natural hot springs? This hike has it all! Stay for an hour or set up camp on a nearby beach to take full advantage of this easy hike, just one hour from Las Vegas. Sparkling gypsum deposits, weathered mining ruins, and a twisted slot canyon highlight this scenic 6-mile hike—less than an hour from Las Vegas and just on the other side of Lake Mead to the Gold Butte National Monument. Explore "California's Serengeti" on this 14-mile out-and-back to a 4,404-foot summit high above Carrizo Plain National Monument. Unspoiled black-sand beaches, rogue breakers, and craggy mountains form a remote backdrop to this 13.4-mile weekend adventure along the Lost Coast in Humboldt County. Information from: USA Today, Nevada Wilderness, LA Times and Bears Ears Coalition.